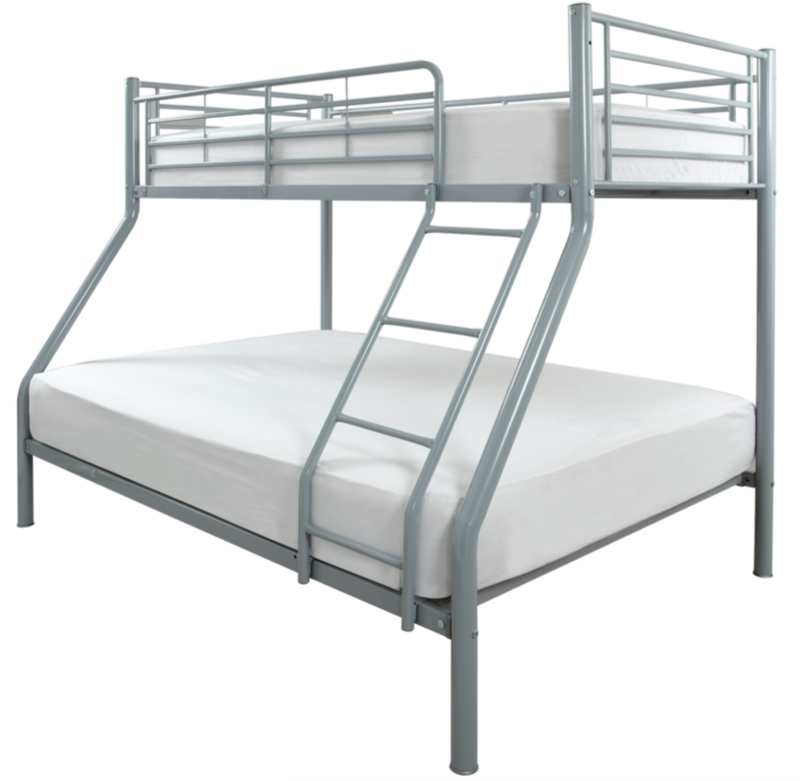 The Duo Bunk Bed Frame is a sturdy metal frame finished in a silver colour with reinforced steel mesh bases. The top bunk is a standard single while the bottom bunk is a double with fixed ladders connecting the two. This Bunk Bed comes with the mattresses which vary in colour, please be aware that we manufacture mattresses on site and you can upgrade your mattresses.